Optoma has added three new models to its ProScene projector series featuring 4K HDR compatibility to produce rich colors and image quality in a compact and lightweight design. Optoma has unveiled the 4K550 and 4K550ST, the latest additions to the company’s full line of 4K UHD projectors. NEC Display Solutions of America has launched two new projector models: the P525WL and P525UL. Canon U.S.A. has introduced two new 4K Laser LCOS Projectors: the REALiS 4K6020Z and 4K5020Z. Christie has launched the Christie Mirage SST, a high-performance RGB laser projection solution featuring Christie TruLife electronics. InFocus Corporation has launched three new projector lines designed to make meeting spaces and classrooms BYOD capable. Christie Boxer and Christie Pandoras Box drive projection and content for an immersive audience experience during the Australian Outback Spectacular. 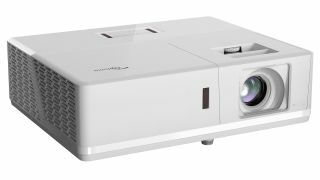 Hitachi America has added to its Collegiate Series line with the addition of two new 3LCD laser projectors, the LP-EU5002 and LP-EW5002.